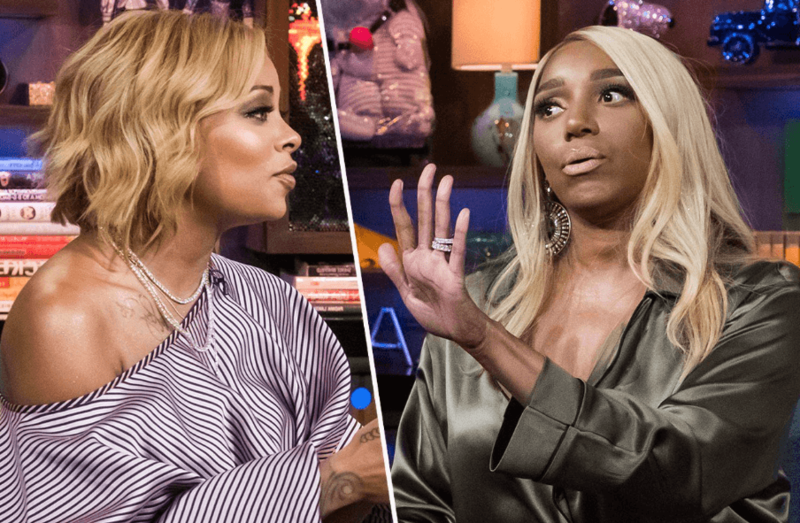 Eva Marcille and NeNe Leakes’ friendship is on the outs after filming the heated season 11 reunion! The former friends have been exchanging jabs on social media after Eva accused NeNe of being a bad friend by discussing Eva’s shady finances with Marlo Hampton, wearing a mic during an off-camera chat, and disrupting her wedding to Michael Sterling. RELATED: Eva Marcille Blasts Haters Questioning Her Finances Over $350K Wedding! After the reunion filmed, NeNe addressed Eva’s accusations on her YouTube channel, “The Life of NeNe.” Press play below to watch. RELATED: Eva Marcille’s Bridesmaid Accuses Her of Identity Fraud and Her Baby Daddy Denies Abuse Allegations! Fans swooned over the Real Housewives of Atlanta episode that featured Eva Marcille’s wedding but the lavish affair created a lot of chatter about Eva’s questionable finances via a disgruntled bridesmaid. Share your thoughts on Eva Marcille and NeNe Leakes’ feud. Sound off in the comments! Real Housewives of Atlanta season 11 reunion part one airs Sunday, April 7, on Bravo, at 8:00 p.m. ET.